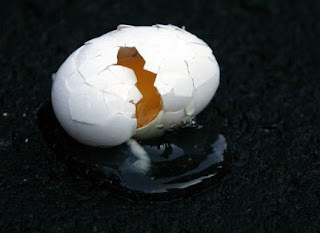 Danger Will Robinson: U.S. residents that have purchased eggs in the last couple of month might need to toss them due to a massive salmonella outbreak that has 266 illnesses in California alone linked to the chicken embryos. Hold the omelets, hold the presses, check your eggs–if they come from a company called Wright County Egg of Galt, Iowa better throw them out. According to health officials at the Centers of Disease Control (CDC) and various state health departments, 228 million eggs, or the equivalent of 19 million dozen-egg cartons, have been recalled by the Wright County Egg company. That number has been increased to nearly 32 million dozen-egg cartons. The eggs have been distributed around the country and packaged under the names Lucerne, Albertson, Mountain Dairy, Ralph’s, Boomsma’s, Sunshine, Hillandale, Trafficanda, Farm Fresh, Shoreland, Lund, Dutch Farms and Kemp. Salmonella food poisonings have increased in Arizona, California, Colorado, Illinois, Minnesota, Nevada, North Carolina, Texas and Wisconsin. No deaths have been reported. Salmonella is the most common cause of food poisoning. 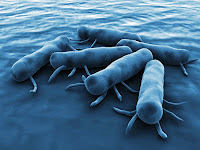 The bacterium responsible–Salmonella enteritidis–is responsible for 20% of all cases. Most of the cases have been centered around restaurants in California, Colorado, Minnesota and North Carolina. They are not necessarily breakfast joints–many cases are from restaurants that have raw egg in the salad dressing or dropped into soups. Thank you for that information. I NEVER buy eggs from the supermarket, including their organic eggs. I cannot trust the egg factories. The moment hens are crowded into feedlots, they are suspect. The same goes for meat. I prefer to eat less and buy free range, if possible.